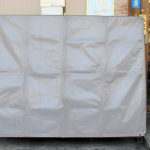 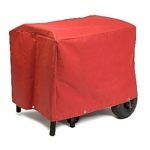 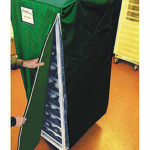 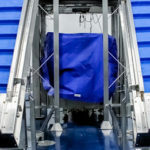 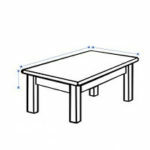 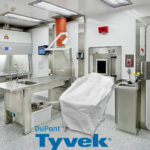 A solid vinyl tarp cover for dumpsters or any open face containers to use when it's important to keep the contents dry. 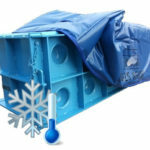 The easy to install rib kit keeps the cover off of the contents. 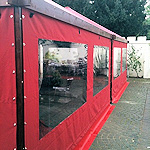 It allows rain to roll off and supports snow in the winter. 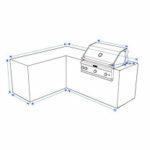 The kit adjusts to almost any width and fits all major dumpster sizes. 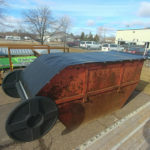 This Rib and Bracket System is installed in minutes and is easily removed when the dumpster is ready for pick up. 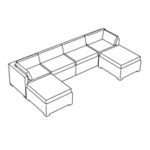 Designed to be completely portable from one container to another. 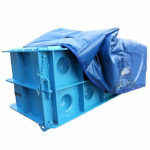 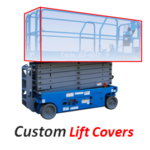 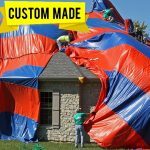 Perfect for rental dumpsters that need to be protected from rain and snow. 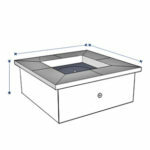 The dumpster cover also meets the requirements of the EPA which requires rain water to not collect and drain from dumpsters. 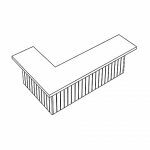 Your quick ship dumpster cover kit is made to fit the standard commercial dumpster sizes which are 5, 10, 15, 20, 30, & 40 yd dumpsters. 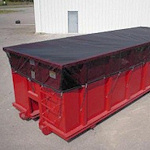 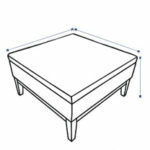 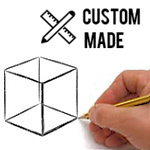 We take the guesswork out of which dumpster tarp cover kit to choose by using our quick fill in form. 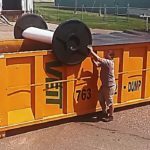 Simply let us know what size of dumpster that you have and we will send you a detailed quote that you can order right online. 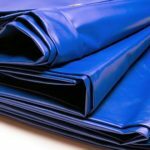 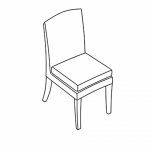 Choose from 18oz or 22oz Vinyl with standard colors of blue, black and dark green. 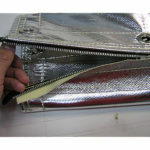 We also stock many other colors of fabric. 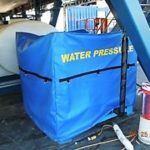 The material is fire retardant and is made to endure the harsh environment of sun, snow, rain and wind. 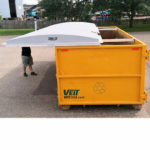 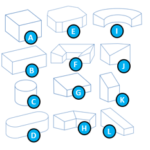 Your quick ship dumpster cover kit will come with all of the components that you need to quickly assemble the rib structure that will hold the dumpster tarp. 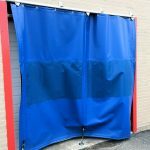 The components slide together quickly and can be taken apart just as quick when the need for the tarp cover is no longer needed.